Summer is gone for most of us though we are enjoy the last few days of warm sun this week. 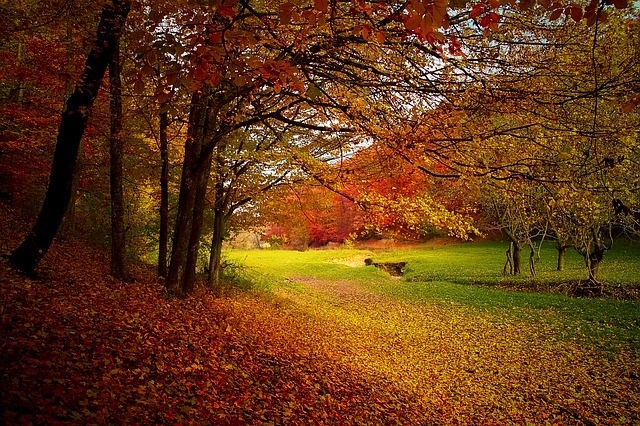 Fall is the time that trees shed their leaves, letting their life energy (sap) go deep down and protecting themselves. They let go of all that would hold them back. It is the season that we need to do the same. This is the time to step back an assess your life and your lifestyle. What changes do you need to make? Listen to what Fall has to say. Yellow leaves dance across the lawn. It seems they fall almost as quickly as they change. I love spring and summer so as the bright green fades, part of me calls to the trees “Not yet. Hold on!” But the trees follow the cycle and prepare for winter. In order to flourish in the new season, the tree must let go of its decayed leaves. The leaves have performed their role. Just as the trees don’t stubbornly hold on to their dead leaves, so we shouldn’t hold on to any old weights in our lives. 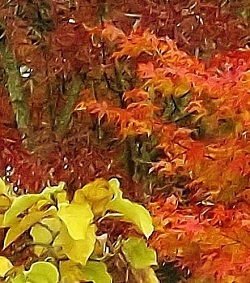 The fall is a visual lesson for us as the trees shed their leaves as part of the cycle of renewal. In order to grow, we must release something. Our own bodies follow the cycle in ways we don’t even notice. We constantly shed old cells and create new ones. If our physical bodies didn’t have this process, we’d have a much shorter life span. Old tissues wear out rather quickly and need to be replaced. This principle holds in our psyche as well. If we want to grow, to become better human beings in every way possible—some things must go. We are constantly integrating new information, new aspects of ourselves, new perceptions, and ideas, as we recognize that old ways no longer work. When we were children, we believe that the whole world revolved around us. While this is age-appropriate and facilitates growth when we are three, by the time we are seven we need to shed that perspective and understand that cooperation, empathy, and respect will get us much farther in our relationships. Think of it like computers. What was a cutting-edge programming language 10 years ago is completely outdated today. We need to constantly update our knowledge and skills to keep up with the evolution of technology. The Fall reminds us that we all have outdated parts of ourselves that we need to let go of. This allows us to sprout new ideas, improve skills, deepen our relationships, and grow on the spiritual path. The old ways, however, don’t need to be tossed into the trash. Like the leaves that drop from the trees, they serve as the floor for new growth and fuel for the future. In a forest, the soil becomes rich and continues to feed the forest floor and the trees largely by composting the dead plant matter that has fallen. We compost the leaves and cuttings we rake up in order to have a rich and natural fertilizer to nurture our gardens. You have an inner garden that needs the same compost. The self-absorbed ego-based world of a toddler, though meant to be grown out of, is intended to be the foundation for a healthy self-image. We still must take care of our own needs, but we grow and expand beyond just the ego. Although old programming languages may not be in use any more, the skills we used to learn and implement them can be applied to new ones. Take what you have learned, digest it, retain what is useful, and expel what isn’t, just like your digestive process does. There are waste products with everything we consume, but that doesn’t mean we should never eat anything. So it is with our lives. We’ve all made mistakes, said things we regret, made choices we wish were different. We’ve also done things or purchased items that were useful at the time, but now are nothing but a burden in our closet or a habit that keeps us from realizing new goals. Let the old stuff go. Autumn’s energy causes us to take stock and decide what to hold on to and what to let go. This process may require you to practice forgiving yourself or someone else. It may bring you new opportunities that necessitate making changes to accommodate them. It may bring up grief, even if you know that what you’re releasing is a good thing. Although we must all let go of our past, we also integrate those experiences into our heart as wisdom. The leaves that fall lose their form. Ws they break down into compost, their transformed substance continues to serve the growth and well-being of the tree. Hanging on to what is dead and no longer serves us hinders the ability for the new, stronger buds to open in the spring. Letting the leaves fall also requires us to face fears of the future. When we let go, we realize we must step out into the unknown, trusting that something is supporting us. Just as the trees let go of their leaves, having full faith that spring will come and new leaves will burst forth, you can have that faith that new growth will come too. Retain this faith as emotions arise and release. You may be grieving a loved one or a phase of your life. You may have moved to a new location and miss the old familiar places and friends. Breathe into the feelings, allowing yourself to fully experience them. When they are spent, they, too, will drop away. It is fine to reminisce, but don’t wallow. Review the past, bless it, and release it. This may leave you feeling a little like a barren maple tree. It’s OK to put on some inner insulation. Get a soft, cozy security blanket and throw it around your heart. Autumn has a way of triggering the old stuff. As you let that old stuff go, give yourself comfort and support through the process. Practice positive affirmations, recognize small achievements, and seek out comforting, encouraging company. Do something that nurtures your soul. Slow down and make space in your life for nourishing and restoring yourself. So rake up those old leaves, and as you do so you’ll notice the beautiful gardens, lawns, and rich earth that are underneath. Pile them up and jump on them! Have some fun. Then take the past to the compost pile and know that by letting go of it, you recognize what the present offers and create the foundations for abundant growth in the spring. Thanks for this lovely, meditative reflection, Linda! There are some terrific analogies here.